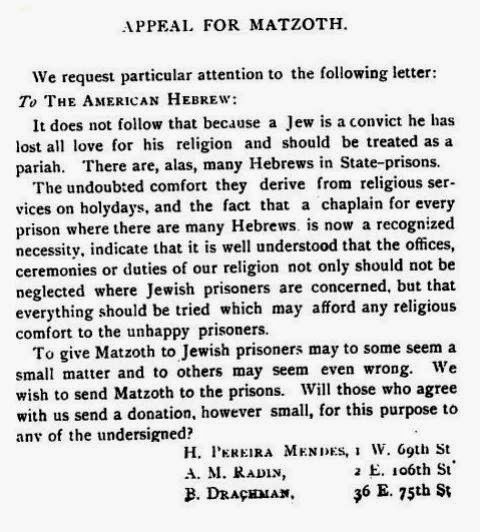 "There are, alas, many Hebrews in State-prisons." Alas indeed. Were many of them rabbis and community leaders? If not, we can congratulate ourselves for the higher quality of Hebrew prisoners we've got nowadays. I had never heard of Rabbi Radin before. Google search of Rabbi Adolph Radin is fascinating. Maybe Aviv is related to Jose.